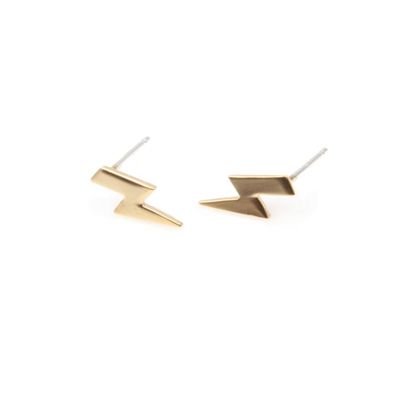 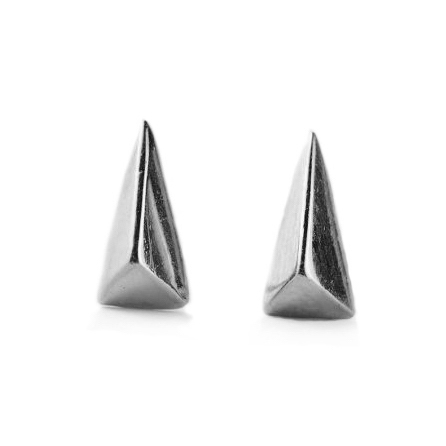 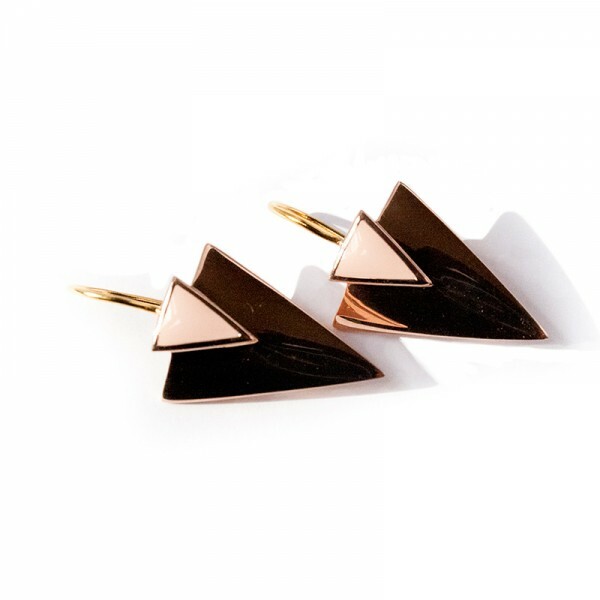 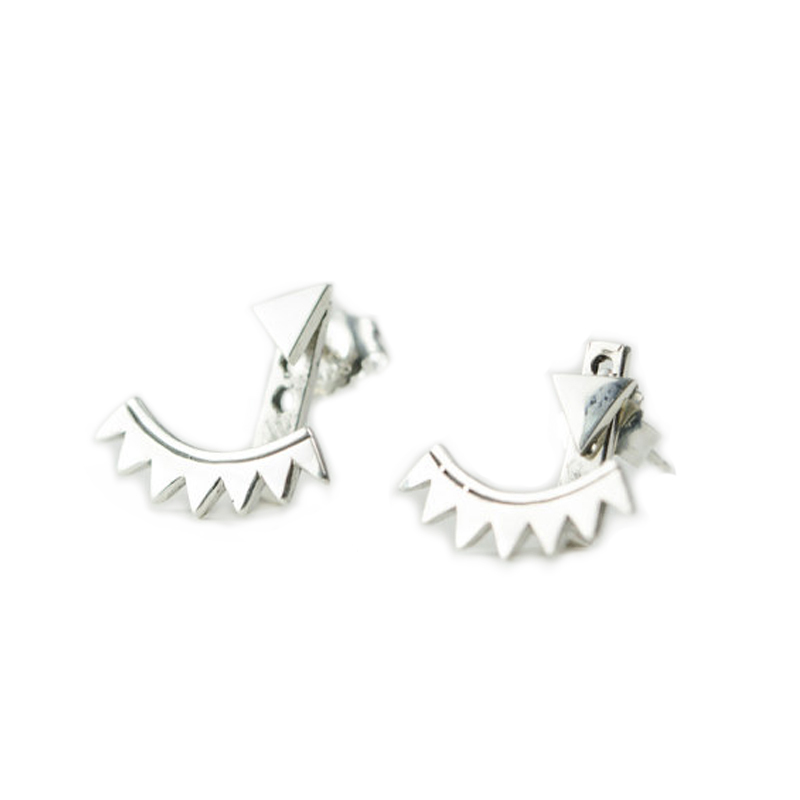 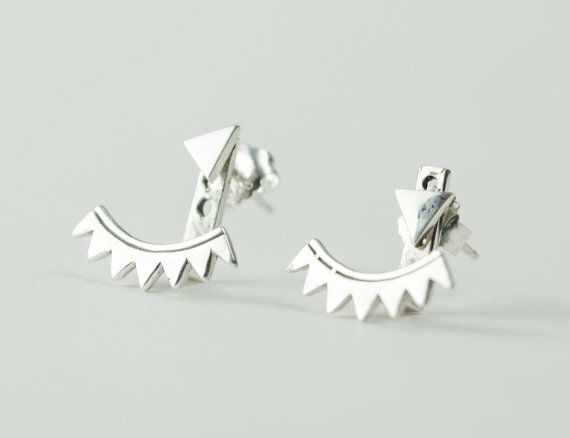 *As seen in the Financial Times, Grazia and the Guardian* Spiky and spunky, we love these chic little geometric ear jackets. Also available in gold. Hand made sterling silver, 3 adjustable levels to fit ear lobe. 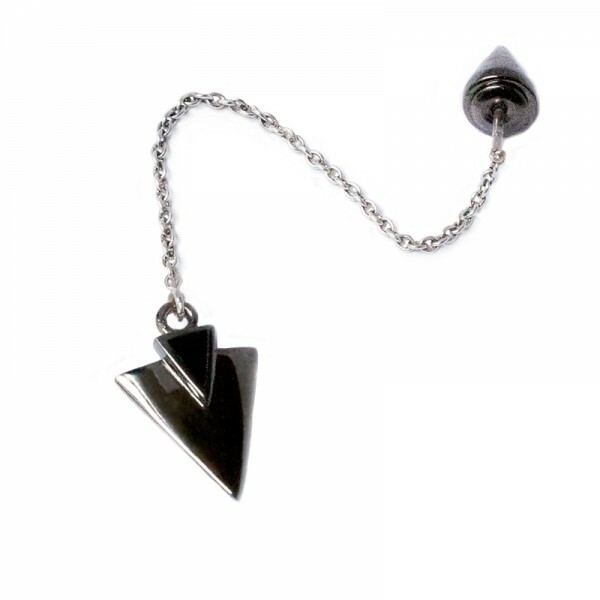 Front, 11mm post with tiny 5mm silver triangle. 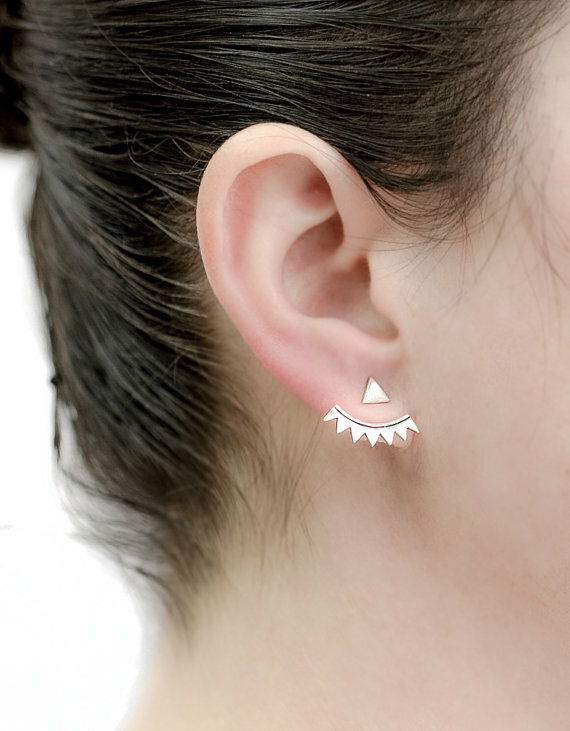 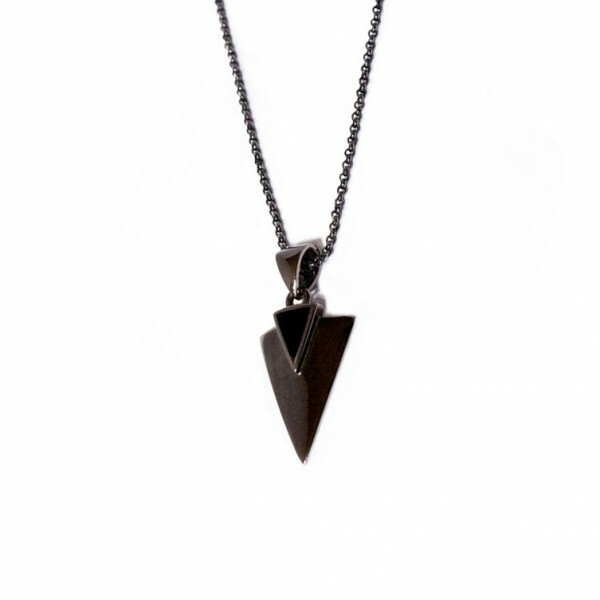 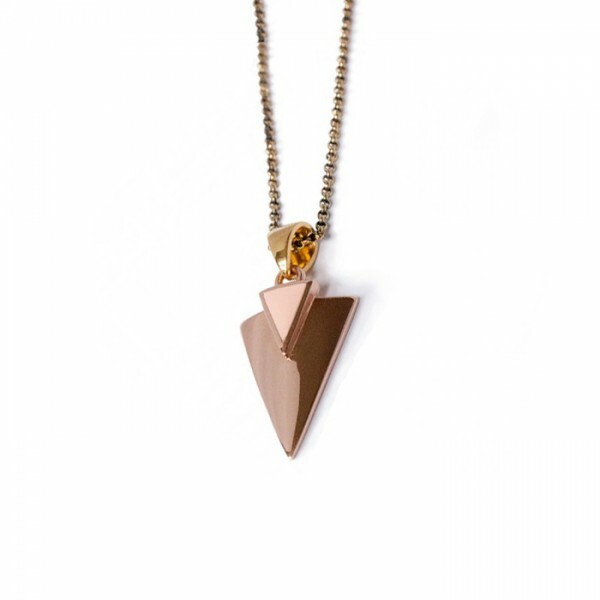 Back 18mm silver spiky triangle curved plate. 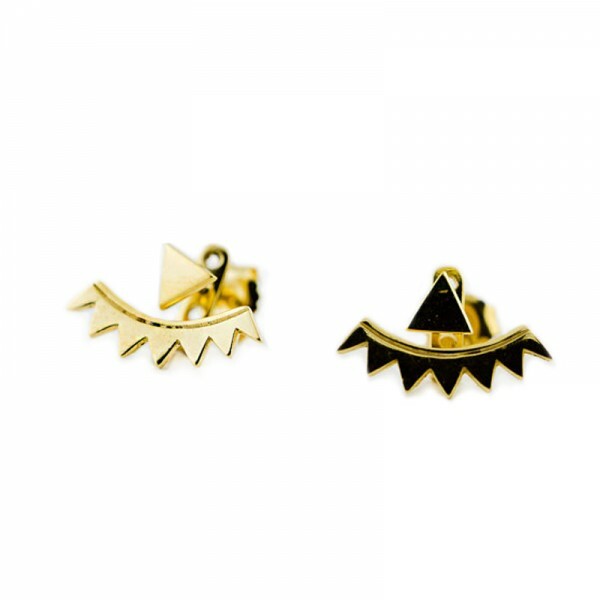 For pierced ears; butterfly back.